2XL Furniture & Home Décor is a retailer of luxury home furnishings in the UAE since 2000. The product range includes exclusive bedroom, living and dining room furniture as well as exquisitely … see more.. In 1981, Aati opened in the UAE, a prestigious furniture store specializing in interior design, importing and retailing of contemporary designer furniture, accessories and soft furnishings from Europe and America. For a … see more.. Founded in 1976 the trendsetter in luxury furniture fashion, Al Huzaifa features the latest in Classical, Contemporary and Modern furniture and accessories. Al Huzaifa Furniture enjoys a rich heritage of crafting fine … see more..
And So To Bed was established primarily as dealers of fine antique beds. Soon, they began to manufacture their own designs of antiques. From the simplest design to the grandest fantasy, the beds … see more..
A to Z furniture was founded in UAE operating for more than 30 years with a passion to provide unique, high quality, well designed home furnishings. A to Z furniture has its head … see more..
Baccarat Crystal is a manufacturer of fine crystal glassware founded in 1764 in Baccarat, France. 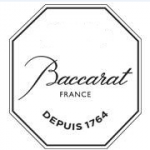 Baccarat sells Decoration, Tableware, Lighting and furniture, Jewelry and accessories. A symbol of beauty and crystallized perfection, … see more..
Bagno Design is the premier retailer of luxury bathrooms and tiles across the Middle East, Central and South Asia owned by the Dubai based Sanipex group.Sanipex was established in Dubai in 1994 … see more..
Baituti is a home furniture retailer based in Dubai, UAE owned by BinHendi Enterprises. Baituti means “the person that loves to stay at home”. The business concept of Baituti evolved from this idea, … see more.. Better Sleep is the only bedding solutions store in Al Barsha, Dubai with quality European brands to get you your best nights sleep. Better Sleep is the one stop bedding solutions store … see more..
BoConcept is the brand name of Denmark’s most global retail furniture chain with more than 300 sales units in more than 50 countries around the world. BoConcept offer customised, coordinated and affordable … see more..
Bohemia Crystal is a Dubai based Crystal Shop. Store sells Crockery, Cutlery , Holloware, Chinaware, Glassware , Crystalware, Kitchen utensils, Blankets, Bed & Bath linen, Table cloths, Napkins , Coffee machines, Bakery … see more..
Carpetland is home to the most diverse variety of exceptional flooring products from wall-to-wall carpets, area rugs, laminate flooring and wooden parquet. With the range and expertise to handle every kind of … see more.. The word ‘Chattels’ refers to movable articles of personal property, like furniture and accessories. History shows that people have always been inspired and motivated by beautiful belongings and will sometimes go to … see more..
ChenOne since its establishment in 1999, has been a leading furniture & home furnishings retailer in the Middle East, providing a variety of products which has become synonymous with quality & refinement. … see more..
Christofle founded in 1830 is a symbol of luxury and elegance. Since its founding in the mid-19th century, Christofle has been a continuous innovative force and has infused each era with a … see more..
Cities Design, Art & Lifestyle is a unique concept store which houses creative lifestyle, luxury, and modern design products all under the same roof. 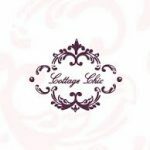 Cities is an established and recognizable source for … see more..
Cottage Chic is a premier Home furnishings boutique in the United Arab Emirate. Offering high quality American and European furniture with unique casual decorating style, that uses vintage furniture, accessories and gift … see more..
International home furnishings retail store Crate & Barrel was founded in Chicago in 1962 by retailing pioneers Gordon and Carole Segal. Today the brand is a 170+ store American chain of retail … see more.. 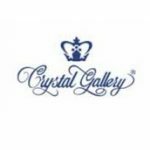 Crystal Gallery LLC is a manufacturer and processor of exquisite handcrafted crystal products, has been in the United Arab Emirates since 1992. Company makes trophies,awards,crystal gifts and Replica. Crystal Gallery is the … see more..
Danube Home Opened in 2007 in Dubai is the Home Interior Retail arm of Danube Group; the leading Building material company in the Middle East. Today, the group offers more than 25,000 … see more.. 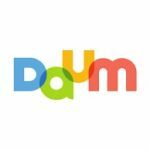 Since 1878, for Daum, Art is the ultimate luxury. A unique collection of Art in crystal created with the most talented artists of our century. Exclusive creations, hand-made and numbered in limited … see more..
Dialma Brown is a lifestyle, it is a new and original way of living home, it is a mix of styles that create a perfect harmony and at the same time an … see more..
Dux beds was Founded by Swedish chocolate maker Efraim Ljung in 1926. 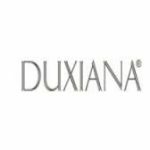 Ever since the founding of DUX in 1926, its ambition has been to manufacture the world’s most comfortable beds. The … see more..
Dwell is specialized into home linen products, distributing high quality brands such as Gant Home, Esprit Home, Lacoste Home etc. Their philosophy of Renew, Refresh,and Excite lets you explore the multitude of … see more..